Today is a big day for my wife and I. We will move our daughter Ali into the Nelson Dorm at Bethel University today. That is the same same dorm that her mother and my wife, Lois lived in her freshman year at Bethel. It was known as “New Dorm” back in those days. Lois and I are thrilled. As I stated in my previous post, my wife and I are taking our daughter to Bethel University in St. Paul, MN. It is colder up here and there is more now than Nebraska. 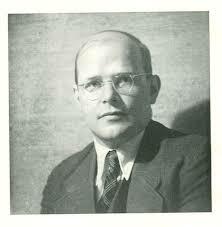 I was student at Bethel back in the 70’s when I first introduced to Dietrich Bonhoeffer. It is a big weekend for us. My wife and I are taking our daughter Ali to Bethel University in St. Paul, MN tomorrow. She will begin the second semester next Tuesday. Lois and I are thrilled because we both graduated from there. 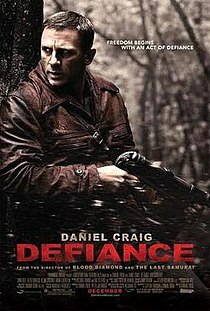 Last night, I went to the movie, Defiance. It is based on the true story of the four Bielski brothers who helped a group of fellow Jews escape deep into the forest during Nazi occupied Poland. It turned out to be more than just an escape. It became a matter of survival and even fighting against the Germans. I thought is was a wonderful movie. This movie is just one of countless examples of men and women who risked their lives to save Jews. Schwarze Kapelle (Black Orchestra) from The Oxford Companion to World War II Gestapo name for the informal group of aristocrats, senior officers, and diplomats in Germany who opposed Hitler and talked about bringing him down, but were unable to do so. Himmler and Heydrich between them had organized a system of terror and espionage so effective that even within this group there were tell-tales. Moreover, none of the group had had any clandestine training; they tended to keep diaries, in which they recorded conversations, wrote down names and addresses they would have done far better to memorize, made appointments by telephone in clear, and committed other elementary indiscretions against personal security. The figurehead of the group was General Beck, chief of the general staff (CGS) from 1935 till he resigned in August 1938 in protest against Hitler’s plans to overawe Czechoslovakia; no one resigned with him, as he had hoped they would. He was to have been head of state after Hitler’s overthrow. A regular Prussian officer with a keen moral sense, he detested Nazi methods of violence and trickery but did not understand how to combat them. Most of his companions were in the same boat. Their diplomatic adviser, Ulrich von Hassell (1881–1944), married to the daughter of Tirpitz the founder of the imperial German Navy, was German ambassador in Rome 1932–8. He was a diplomat of the old school, and favoured Germany’s retention of Austria and of the Polish corridor when peace terms were discussed, never realizing how wholly unacceptable such terms would be to the Allies. All of them were devout Christians. Carl Goerdeler (1884–1945), mayor of Leipzig 1930–7, resigned his post when a bust of the composer Felix Mendelssohn was removed by the Nazis from his town hall. He was even more active than von Hassell in travelling round Germany and Europe, trying to organize opposition to Nazism, though he shared von Hassell’s views about what post-war frontiers would be acceptable. Goerdeler was the putative new regime’s probable chancellor. Dietrich Bonhoeffer, the theologian, also took a leading part in conversations and planning, and travelled to Stockholm in 1942 with a set of peace terms, which he tried to submit to the British through Bishop George Bell: they were turned down. Indeed the British foreign office, like MI6, having burned their fingers so badly at Venlo in 1939, were hostile to every approach made from Germany, believing all of them to be Gestapo fronts. More serious help seemed to be available from Halder, Beck’s successor as CGS, who pronounced himself ready to lead a coup against Hitler in the autumn of 1938, from Admiral Canaris, the head of the Abwehr, and from Canaris’s deputy Hans Oster, who was given the task of finding a group of young officers who would storm Hitler’s chancellery. Nothing came of these arrangements because of the Munich agreement; and Halder went on to win Hitler’s principal victories for him. Oster remained available to help what was left of the conspiracy; which could do nothing in 1940–2, the years when the Nazi tide was rising high. As it rose so those plotting Hitler’s overthrow became convinced that he would have to be assassinated, not just deposed. One of the most active conspirators in the attempt was Maj-General Henning von Tresckow, chief of operations at the HQ of Kluge’s Army Group Centre. His first attempt, known as the Smolensk Attentat, took place in March 1943. On another occasion a bomb was placed in the pocket of a new style of officers’ greatcoat, which Hitler was to inspect; at the very last moment, the Führer changed his programme, and the would-be hero wearing the coat just had time to retire to a men’s room and remove the fuze from his bomb before it went off. Tresckow made several other attempts to kill Hitler and after the abortive July 1944 bomb plot (see below) he committed suicide. With the Office of Strategic Services, once it had been formed, Beck and Goerdeler communicated through the German vice-consul in Zurich, Hans Bernd Gisevius (1904–74), who carried messages to Dulles in Berne. Nothing more than polite talk resulted. A group centred on Helmut von Moltke (1907–45), great-grand-nephew of the hero of the Franco-Prussian war of 1870, was called the Kreisau circle after his estate in Silesia where it met. Its members sympathized with the conspirators, though most of them—like Moltke himself—did not want actually to get involved in assassinations or coups d’état. They combined nobility of thought with practical incapacity; they did not spot the Gestapo informer planted on them. In January 1944 Moltke was arrested and was hanged the following year. Ernst von Weizsacker (1882–1950), permanent head of the German foreign office from 1938 to 1943, when he moved to be minister in the Vatican, had (it turned out afterwards) anti-Nazi sympathies, but was not directly involved with the conspirators. However, he did encourage two junior diplomats, the Kordt brothers, Erich and Theo, who had approached the British foreign office in the summer of 1938, trying to get them interested in the plot; they were received with stony indifference. Another diplomat, Adam von Trott zu Solz (1909–44), a descendant on his mother’s side of the first chief justice of the USA, had been a Rhodes scholar at Balliol College, Oxford, in the early 1930s and had many English friends; he also belonged to the Kreisau circle. He was so well placed socially that he was able to meet both Chamberlain and Halifax in the summer of 1939, and to try to draw them into negotiations about the future of eastern Europe, attempts that were frustrated by the Nazi–Soviet Pact. With Weizsacker’s backing, he continued to travel in and out of Germany a good deal during the war, but was viewed with suspicion by the British, who suspected him of being an undercover Nazi agent. In the summer of 1944 the conspirators at last found a competent saboteur to do their work for them: Count Claus Schenk von Stauffenberg (1907–44), a great-grandson of Count Gneisenau, a devout Roman Catholic, an officer in a cavalry regiment in peacetime and a distinguished staff officer in war. He was revolted by what he saw of SS and Wehrmacht brutality on the Eastern Front. Serving in Tunisia during the North African campaign, he was severely wounded in April 1943, losing his right hand, part of his left hand, and the sight of his left eye. While he recovered from his wounds, he devised a plan called “Valkyrie”, which was to set up a military government in Berlin the moment that Hitler was assassinated, neutralize the Gestapo and SS, and sue for peace. Having met Beck and the other principal leaders of the conspiracy, he determined to commit the assassination himself. He was the better placed to do this, because his wounds would make him less likely than usual to be searched on approaching Hitler’s presence; and he had a staff post, as chief of staff of the Replacement Army, which gave him frequent access to Hitler’s headquarters at Rastenburg in east Prussia. There, at the fourth attempt, on 20 July 1944 he placed a briefcase containing a kilogram of SOE’s plastic explosive, with a ten-minute time pencil working inside it, beneath the table at which Hitler was holding his morning conference. He then slipped out of the room “to make a telephone call”. By a stroke of bad luck, he had been summoned to his Führer’s presence before he had time to put a second kilogram of explosive into the briefcase; and by another, the conference that day was held in a hut out of doors, instead of the usual underground concrete bunker, which was being redecorated. Stauffenberg saw the hut explode, was confident Hitler was dead, relied on General Erich von Fellgiebel—another conspirator—to cut all communications between the headquarters and the outside world, bluffed his way out of the enclosure, and took an aircraft to Berlin to set the rest of “Valkyrie” in train. Several things went wrong. Hitler was severely shaken, debagged, and only lightly wounded, but not killed. Three of his staff died, but most of the bomb’s force was dissipated through the hut’s thin walls. Fellgiebel was not able to cut off all the telephone, teleprinter, and wireless channels out of the Führer’s headquarters at once. By the time Stauffenberg got to Berlin, he found most of the leading conspirators gathered in the war ministry in the Bendlerstrasse, wondering what to do. Teleprinted orders to execute “Valkyrie” went all over the Wehrmacht; only in Paris were they taken seriously. There, the principal SS leaders were put in prison; they hesitated to come out next day, when the plot was over, because they knew so well the technique of reporting their victims as “shot while attempting to escape”. Otto-Ernst Remer, the major commanding the Grossdeutschland guard battalion in Berlin, was sent to arrest Goebbels. That arch-conspirator outwitted “Valkyrie”: he put Remer in direct telephone touch with Hitler (who promoted him from major to colonel on the spot), and Remer took his battalion back to the Bendlerstrasse where he arrested all the conspirators he could find. One of those on the fringe of the conspiracy was General Friedrich Fromm (1888–1945), the commander of the German Replacement Army, who attempted to cover his tracks by ordering the immediate execution of those involved. (It did him no good. He was arrested the next day, tortured, tried, and executed the following March.) Stauffenberg was shot in the courtyard that night; he was lucky. Most of his co-conspirators, undone by their personal lack of security, came to horrible ends, hanged on hooks by piano wire. Hitler is said to have had their final agonies filmed, and to have enjoyed watching them squirm, as they died. Two officers, Kluge and Rommel, who still held high commands at the time of the plot, were incriminated, too, and chose suicide to the alternatives that awaited them. Germans continue to debate whether Stauffenberg did right or wrong. M.R.D.Foot Balfour, M., Withstanding Hitler (London, 1988). Hoffmann, P., The History of the German Resistance 1933–1945 (2nd edn., London, 1977). Klemperer, K. von, German Resistance against Hitler (Oxford, 1992). …I want to confess quite simply that I believe the Bible alone is the answer to all our questions, and that we only need to ask persistently and with some humility in order to receive the answer from it. As you may know, this bonfoefferblog is based on my thesis for my Doctor of Ministry degree through Gordon-Conwell Theological Seminary in South Hamilton, MA. I will be defending my thesis on March 28, 2009 in South Hamilton. Lord willing, I graduate on May 9, 2009. Try as I might, I simply cannot believe that a young man in his twenties could write such a mind-boggling, thought-provoking, and insightful masterpiece as Sanctorum Communio. I feel that I will never think of “church” in quite the same way again. In fact, I feel like I’ve just been given a view of a mountain that I know I must go back and climb again, but the overall sensation of its height is so startling that I’m not quite sure how to begin. (Maybe, in a weird way, a kind of awed despair is the mark of all truly great books?) They say that Barth’s commentary on Romans fell on the playground of the liberal theologians like an atom bomb. Well, Sanctorum Communio has fallen into the playground of this Baptist pastor in just the same way. I had certain disagreements with Bonhoeffer’s ecclesiology. His approach to church discipline is, in my opinion, hopelessly muddled and amazingly oversimplified. But I do recall seeing a more biblical handling of it in his Finkenwalde guide, Life Together, so I want to reserve passing too harsh a judgment on him in this regard. Furthermore, I (obviously) have reservations about his handling of infant baptism. I thought it was pretty par-for-the-course as far as such arguments go. There was nothing terribly new about it. But, in truth, I remain, to date, firmly unconvinced, though a bit more appreciative than I would have been ten years ago. “When the concrete ethical barrier of the other person is acknowledged or, alternatively, when the person is compelled to acknowledge it, we have made a fundamental step that allows us to grasp the social ontic ethical basic-relations of persons…Thus, the individual exists only in relation to an ‘other’; individual does not mean solitary. On the contrary, for the individual to exist, ‘others’ must necessarily be there” (50-51). But this understanding of “I” and “You” (which Bonhoeffer calls “the social basic category…the I-You-relation) is itself a work of God. What strikes me about Bonhoeffer’s argument is how it aims a blow directly at the fragmented, isolationist understanding of the person that has overwhelmed not only our basic relational assumptions but also, in evangelicalism, our ecclesiology. We have become a people of the lone individual, or so we like to think. But relationality is fundamentally necessary and also God-enabled. In a footnote, Bonhoeffer praises his doctoral supervisor (or whatever he was called at the time), Dr. Reinhold Seeberg, for presenting “the idea of sociality as an inherent component of original human nature. He thereby brought back into theology an important doctrine without which the ideas of original sin and especially the church could not be fully understood” (64). I do not know about the truthfulness of this statement from a historical-theological perspective (whether or not it was Seeberg who brought this understanding back), but I do believe that the sentiment is true. In fact, I believe that our rejection of this sentiment (whether explicitly or implicitly) has led to the weakening of the church in profound and tragic ways. “It is our view that there would be no self-consciousness without community – or better, that self-consciousness arises concurrently with the consciousness of existing in community. Second, we assert that will is by its nature oriented toward other wills” (70). “The universal person of God does not think of people as isolated individual beings, but in a natural state of communication with other human beings. Furthermore, in relations with others, I do not merely satisfy one side of my structurally closed being as spirit; rather, only here do I discover my reality, i.e., my I-ness. God created man and woman directed to one another. God does not desire a history of individual human beings, but the history of the human community. However, God does not want a community that absorbs the individual into itself, but a community of human beings. In God’s eyes, community and individual exist in the same moment and rest in one another. The collective unit and the individual unit have the same structure in God’s eyes. On these basic-relations rest the concepts of the religious community and the church” (80). Bonhoeffer also points to the potential benefits of conflict in communities: “Genuine life arises only in the conflict of wills; strength unfolds only in strife. This is an old insight” (85). This is a welcome word for those who wrongly think that all conflict is inherently bad or injurious to the body of Christ. He then moves to the issue of sin and human culpability. He argues for an individual and corporate understanding of sin, whereby, in a very real sense, my sins represent the sins of the whole world. This opens up the very real possibility for corporate repentance. When Bonhoeffer moves into a more specific discussion of the church, he sees these sociological realities as reaching their apex in the body of Christ: “There is in fact only one religion in which the idea of community is an integral element of its nature, and that is Christianity” (130-131). Furthermore, Christ is present in the church: “The church is the presence of Christ in the same way that Christ is the presence of God” (138). And He is poignantly present because of “the paradoxical reality of a community-of-the-cross, which contains within itself the contradiction of simultaneously representing utmost solitude and closest community. And this is the specifically Christian church-community” (151). Here is one of the great strengths of Sanctorum Communio: it’s argument that the church is an inherently necessary definitional reality. How badly do Southern Baptists, among others, need to return to this kind of understanding of the church? The church is not a voluntary association of separated, isolated, “saved” individuals. The church is the necessary definition and identity of the community of the cross which is comprised of all of those who are in Christ. Bonhoeffer goes on to some very helpful discussions of forgiveness of sin, the Lord’s Supper, the need for confession, and the interchange of wills within the body of Christ. I found all of this illuminating, even when I disagreed. I’ve only scratched the surface of the book in this review, but I do hope it has given a picture of the kind of thinking and wisdom you’ll find in Sanctorum Communio. This book is a masterpiece and a treasure. Every pastor should read this and drink long and deep from this well. Check out this helpful link to a PDF file on Bonhoeffer’s Intructions on Daily Meditation. Bonhoeffer: Have Your Quiet Time Based in Prayer and on the Word. We do not want our work (as pastors) to become routine and hollow. It is advisable to base the quiet time of prayer on a passage of Scripture. This provides content for our prayers and gives us confidence and ground to stand on (40).